Walk to charming downtown Morrison, Soda Lakes and Bear Creek with lots of walking, hiking and biking trails! What a great opportunity to enjoy a mountain paradise so close to the city. Very easy access to C-470. 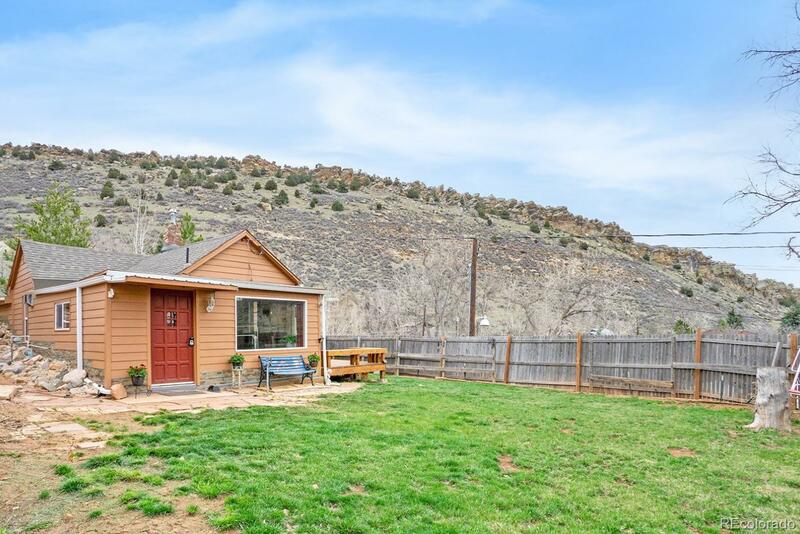 This completely remodeled 1887 home is perfect for a couple, or that fun get away home you have always dreamed of. You'll be surprised to find how quiet it is and how beautiful the surrounding views are. The homeowner did a wonderful job of updating and adding delightful touches, ready for another 100+ years of memories. This home also offers a nice flat yard and a spacious deck for soaking up the sun. Come visit today!